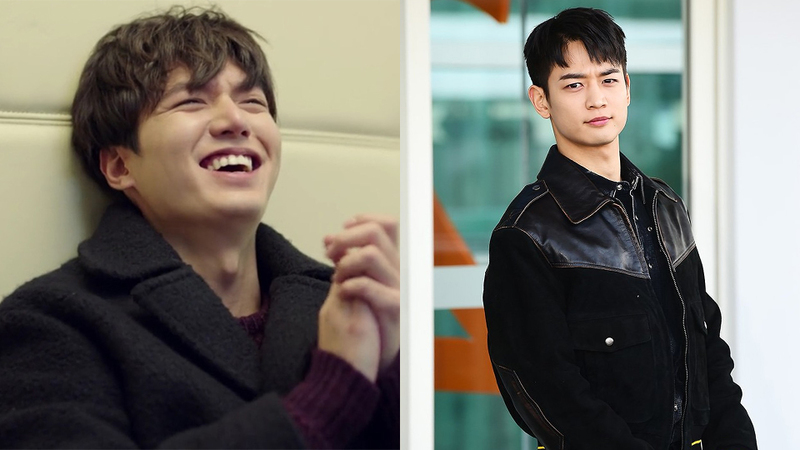 It seems like the brand confused much between SHINee's Minho and actor Lee Minho. 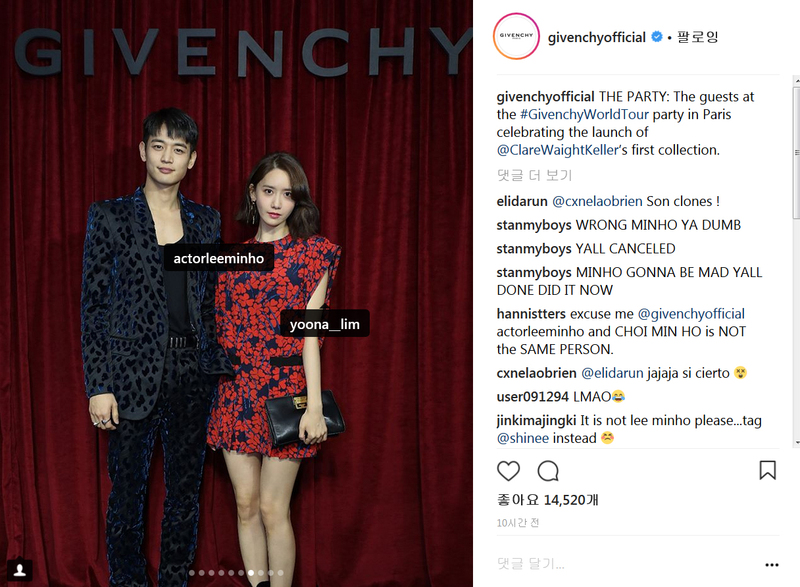 As it has been reported before, SHINee's Minho attended the 'Givenchy Fall Winter 2018 Show' in Paris together with Girls' Generation's YoonA. The two attended the fashion show, as well as the after party. To capture the moment, Minho and YoonA posed for the camera against the maroon-colored curtain with the brand's name on it. The brand then uploaded the photo to their official Instagram -- and here's when the issue started. It turned out that the brand tagged actor Lee Minho instead of SHINee's Minho. Indeed, SHINee's Minho doesn't have any personal Instagram account, but tagging the other Minho is definitely not a right move. Discovering this, fans put a joke on the brand, for inviting Minho without really knowing his name. However, some also are furious about the issue, believing that tagging Lee Minho on Choi Minho's photos is something offensive. What do you think about this, ladies and gentlemen?